In April 2016, Vestas revealed that they are working on optimising wind energy production and lowering the cost of energy by testing a multi-rotor concept demonstrator. Today, we can confirm that the innovative concept demonstrator uses the advanced remote sensing technology from ZephIR Lidar, an approved Vestas lidar supplier. The Vestas concept demonstrator challenges the core scaling rules that turbines have to grow in size to increase their energy output, and also addresses transport and installation challenges in some markets. Many new load and control features will need to be developed, tested, and proven to assess the technical and eventually the commercial feasibility of the concept. After a successful demonstration, Vestas will know more about the potential and possible use of the technologies. The installed ZephIR DM wind lidar will be used to accurately measure the wind characteristics, including wind speed, direction, veer, and shear across the full swept area of the rotors installed on the concept design. 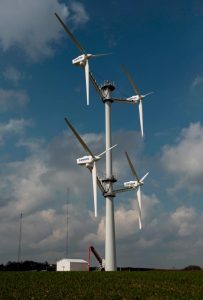 This information will enable the ongoing development of the Vestas control strategies on the design. 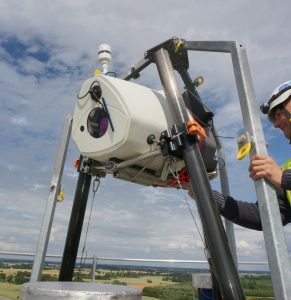 ZephIR DM is a unique Dual-Mode wind lidar for turbine-mounted, high resolution, full rotor wind measurements upwind of a wind turbine from 10 metres to 300+ metres to benchmark turbine performance, identify opportunities for increased production and inform O&M strategies. All with the added functionality of ground-based deployments from the same core product.